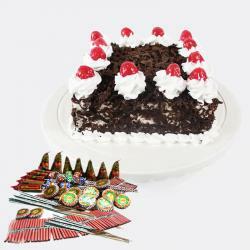 Product Consist : 1 Kg Pineapple Cake with Assorted Fire crackers (Worth Rs.300/-) (Note: Types of Fire Cracker are depends upon their availability no specific choice). 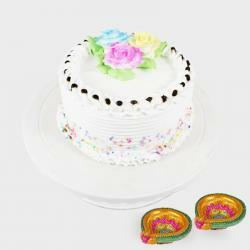 Enhance your Diwali celebrations by treating your loved ones to incredible gifts. 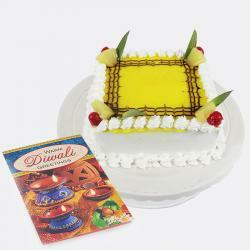 This is a super delightful gift combo of a lush 1 kg pineapple flavored cake in square shape and fire crackers worth Rs. 200 that include sparklers ground chakkars and sparkler threads. The cake is garnished with vanilla and pineapple frosting and glazed pieces of pineapple that taste yum. This amazing gift combo makes for an ideal gift to let your loved ones know how much special they are for you. 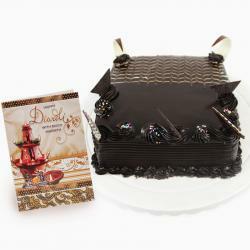 So place your order today and make the event memorable for them. 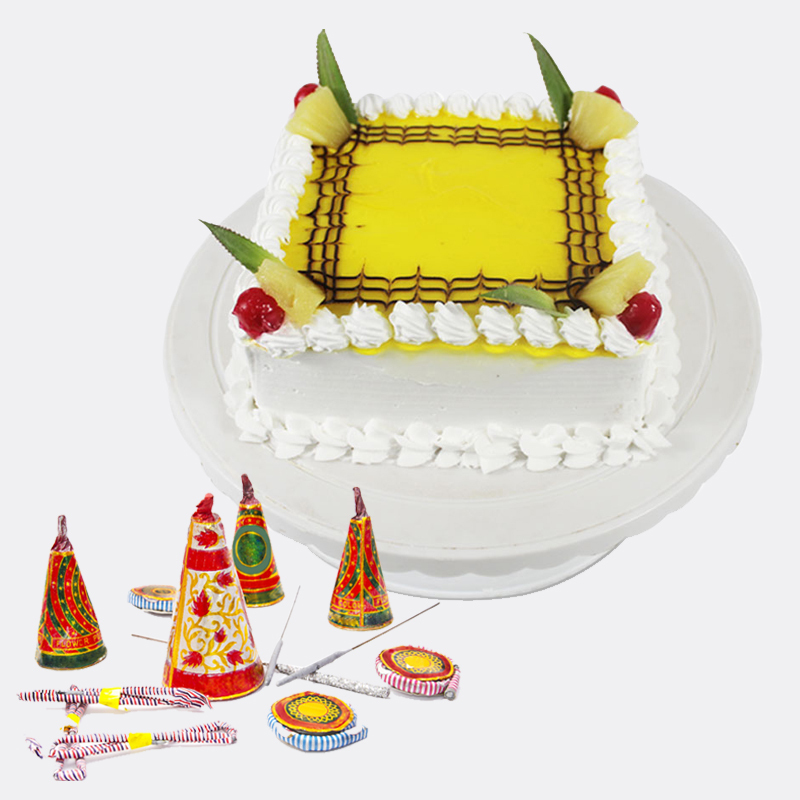 Product Includes : 1 Kg Pineapple Cake with Assorted Fire crackers (Worth Rs.300/-) (Note: Types of Fire Cracker are depends upon their availability no specific choice).